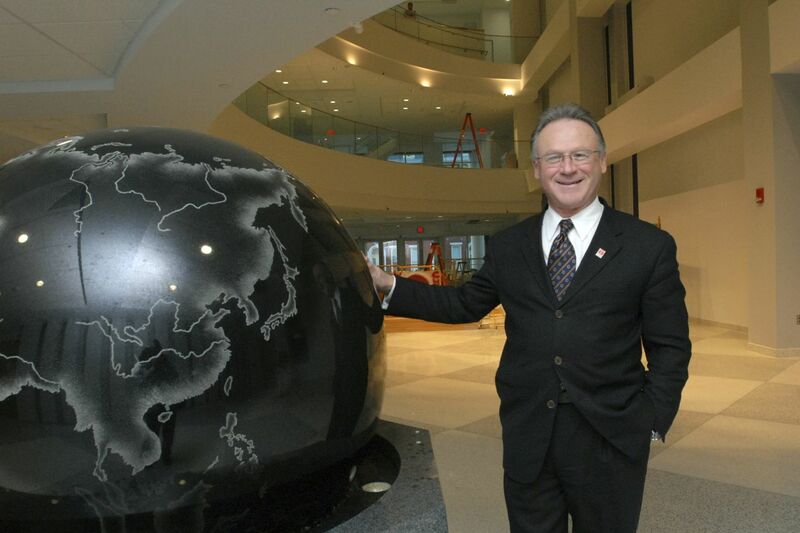 Moshe Porat, seen here in 2009, was ousted as the dean of Temple University’s Fox School of Business last month. Temple University alumni and staff are voicing frustration with how administrators have handled a brewing M.B.A.-rankings scandal that has prompted federal and state investigations into whether employees used deceptive marketing practices to recruit students. Some former students say they fear the controversy will leave a stain on their résumés after the university disclosed last week that, as part of U.S. News & World Report’s annual rankings process, employees at its Fox School of Business submitted falsified test-score and student-loan debt information for several degree programs, including its flagship two-year M.B.A. and its executive M.B.A. A university-commissioned probe previously determined Fox staff had sent false student data and outcome information about its online M.B.A. program over the past four years. Several professors said students deserved more explanation about how the Fox program data was inflated. Temple’s online M.B.A. program—which costs roughly $60,000—had been rated the nation’s best by U.S. News since 2014 before it disclosed the misreporting to the magazine earlier this year. Other faculty have publicly defended the school, saying the data discrepancies shouldn’t take away from the overall quality of Fox’s programs. “A university’s primary obligation is to its students,” said Temple economist Doug Webber, who in July wrote on Twitter that Fox students deserved a refund for programs that were inaccurately marketed as top-ranked. Charles Dhanaraj, a professor of strategy at Fox, said the trickle of disclosures about the information it submitted for the closely watched business-school rankings had cast doubt over the accuracy of other data concerning Fox degree programs. The Temple-commissioned review by law firm Jones Day concluded in July that Fox’s dean and other staff bore responsibility for sending the erroneous information and, in certain instances, did so intentionally. The report didn’t name any employees other than Mr. Porat and noted that in 2013 he had disbanded a committee tasked with ensuring the accuracy of rankings data. Temple President Richard Englert said last week that the university continues to review Fox rankings-data submissions and to update the U.S. Education Department and the Pennsylvania attorney general’s office as new information develops. Both are investigating Temple’s marketing practices. Juliana Bell, who completed her undergraduate degree at Fox in May, said that she had strongly considered returning to Temple for an online M.B.A. in a few years but that the revelations had prompted her to rethink that plan. “There’s just going to be a negative association with the Fox School of Business,” said Ms. Bell, now an associate financial analyst at Johnson & Johnson’s Janssen Pharmaceuticals Cos.
Ms. Bell received her diploma from the school in July with Mr. Porat’s signature on it. When she heard he was ousted, she emailed the university asking for a new one without his name. “I don’t want to see that name years down the road and not remember how hard I worked or how great the professors were, but [instead remember] what happened three days after I got my diploma,” she said. Sam Hodge Jr., a professor of legal studies at Fox who is organizing events for the business school’s centennial anniversary this fall, said that despite the data controversy, the school provides students a high-caliber education and has a long legacy of developing business leaders. “I have witnessed the business school grow and mature dramatically over the last two decades under the dean’s leadership,” he said, referring to Mr. Porat.